Botox has been a revolutionary product in the beauty and cosmetics industry over the past decade. Why Botox? It is both an affordable and effective way to remove wrinkles from the face. It relaxes the muscles underneath the wrinkles and this creates a more gentle and youthful appearance. How does it work? Botox is injected in the upper third of the face to reduce wrinkles and relax muscles. Expect the smoothing of wrinkles to occur approximately 3 days after treatment has been completed. The full effect will be seen 2 weeks after treatment. The effect of Botox lasts for approximately 4 months after treatment. Muscles can be treated regularly to main smoothed appearance. Botox injections can also be used to treat disorders of hyperactive nerves and used for treating chronic pain, especially in the neck and back. 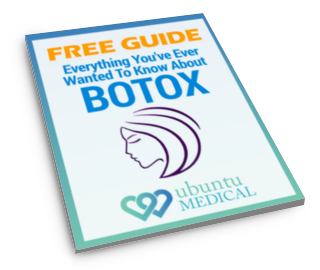 Please note, that botox injections do have some side effects if it is injected in the wrong place on the body, which can cause paralysis of unintended muscles. This is why we advise that you only get treated by a fully qualified nurse and medical doctor. Acne scarring can cause problems to a person’s self confidence and disturb their mental well being. Many patients have been witness to the vast array of benefits of receiving microdermabrasion treatments that strip off the outer layers of scarred and damaged skin. The new rejuvenated skin appears underneath, resulting in a fresh and youthful appearance and the reduction in appearance of scarring and pock marks. Microdermabrasion is most common for people suffering the effects of acne or acne scarring. The procedure is performed by our practice nurse in the treatment room. Each treatment lasts 10-20 minutes and most people receive between 3-6 treatments for the best results. Materials in the fillers include collagen and transplanted fats from animals. A nurse practitioner or qualified GP will consult with you about your concerns prior to the recommendation of a particular treatment. The treatment plan will be created to address your specific requirements and a cost outline will be provided. For more information please contact the surgery and we will be happy to answer any of your questions.